Two marina projects are scheduled to enter operation in 2017 and 2018, respectively. These projects are located close to each other in Porto Heli and Ermioni on the Peloponnese mainland. Camper & Nicholsons Marinas is involved in the technical phase of the design and has been appointed to manage and operate both marinas on their completion. Ermionida Marinas S.A., a sister company of private equity firm Tethys UK, is set to start construction of two marine facilities in Greece. These projects are located close to each other in Porto Heli and Ermioni on the Peloponnese mainland opposite the islands of Spetses and Dhokos and with close proximity to Hydra and Poros. The marinas are scheduled to enter operation in 2017 and 2018, respectively. Andreas Mavrakis, Tethys UK director, told Superyacht Business that both marinas have been secured with long concession agreements and that Camper & Nicholsons Marinas is involved in the technical phase of the design. C&NM has also been appointed to manage and operate both marinas on their completion. 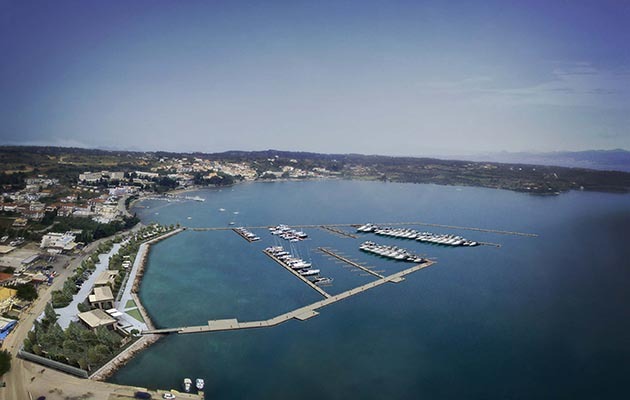 Ermioni Marina is the larger of the two projects and comprises berths for 199 yachts. The facility has been designed to accommodate yachts of up to 70m moored stern-to. The facility will have its own bars, restaurants and shops as well as a boutique hotel with 16 rooms. “Ermioni marina was designed by Dimitris Agiostratitis of 1 Architects, a well-known studio in Greece. It is contained within a picturesque and unspoilt bay and remit was to ensure that the upland construction works blended with and complimented that natural beauty,” explains Mavrakis. Dredging works will commence within 2016 and completion is anticipated within 2018. 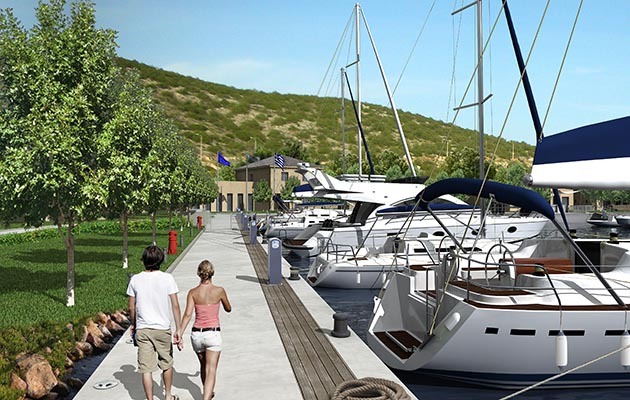 The second project will see Porto Heli Marina opening for the 2017 season. The marina is set to accommodate up to 149 yachts and caters to vessels of up to 40m. 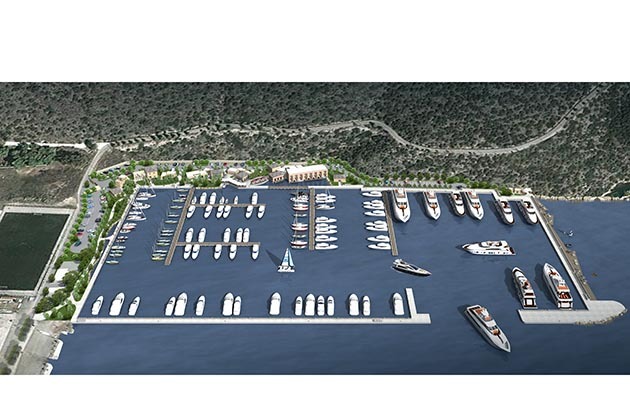 “The bay of Porto Heli is incredibly protected and the projected works, both marine and upland are significantly more limited than in Ermioni,” Mavrakis told SB adding that the marina in Porto Heli has the potential to be expanded to allow for another 100 yachts and further upland development. “Porto Heli is a vibrant town and builds on the laid-back exclusivity of Ermioni for a younger crowd. The surrounding area is studded with upmarket holiday homes both on the mainland and the surrounding islands. Both marinas will operate fuelling stations,” Mavrakis notes. Dredging is due to commence over the next few months as soon as the EU development grants have been finalised. In addition, Tethys UK has set up the yacht agency firm Oceda with the strategic objective of delivering higher quality services to yacht owners in Greece. Oceda has been in operation since early 2016. Oceda also handles customised requests for itineraries, helicopter transfers and speedy attention to and rectification of technical failures. Mavrakis told SB that Tethys has been tracking a 10-year trend in the migration of superyachts towards the Eastern Med. He notes that this is still a summer migration route for many yacht owners and charterers with most returning to their traditional homeports. However, as the number (and size) of superyachts visiting Greece increases so too does the number of superyachts choosing to stay either for a longer period or indefinitely. “This is in part due to the longer cruising season in the East Med, in part the costs and expenses differential for management and services and in part because more and more yacht owners cannot match elsewhere the beauty and diversity of the Greek mainland and its islands. “As such infrastructure projects and relevant activities develop further and are able to equal or surpass Western Mediterranean standards it is anticipated that more owners will choose to homeport in Greece,” he concludes. Porto Heli and Ermioni are located some 80 nautical miles to the south west of Athens. The marinas can be reached by road or fast ferry in less than two hours and in 20 minutes by helicopter.